Let us help you with all your signage needs. 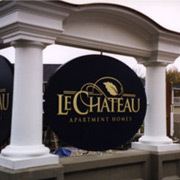 Protecting your image and properly displaying the brand you have worked so hard to build is critical when choosing the material, size and location where you want to put your custom property signs. If you are having difficulty creating your shop signs or simply have questions as to options available for you to display your free standing sign or hanging signs, our sign specialists are ready to assist you. We make it simple and easy for you to do it yourself. And, as an added benefit, you will save money along the way. You already know the importance of creating an outdoor banner to bring awareness to your business or how critical it is for you to attract people passing by your trade booth with an attractive banner. 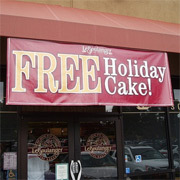 If you are having trouble, let us help you make a banner and formulate a mounting solution that will help you attract the customers you want. We make it easy and affordable for you to reach your goals. Finding the right solution for your window lettering, custom floor graphics or vinyl wall art can sometimes be a challenge. Rest assured that we are ready to discuss your options with you as well as are committed to make the installation of your lettering or graphics very simple. Take advantage of communicating your message in the locations where your customers are most likely to see it. Are you spearheading the opening of a new company or re-branding an existing one? 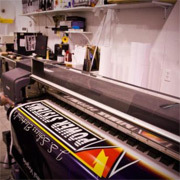 Our sign specialists are ready to speak with you about any unique full color printing, wide format printing or custom signs you are wanting to create. 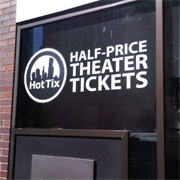 We have a full-service design team and production team that will ensure you stay within your budget while creating a sign of which you are sure to be proud.